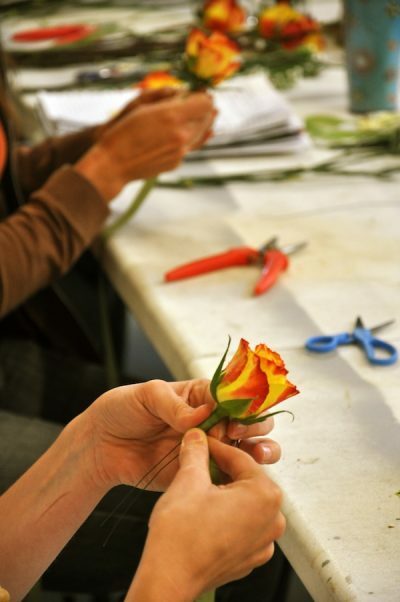 2675 Sky­park Dri­ve, Suite 205, Tor­rance, CA 90505. We are across the street from Lowe’s and in-between Cost­co and Sam’s Club. 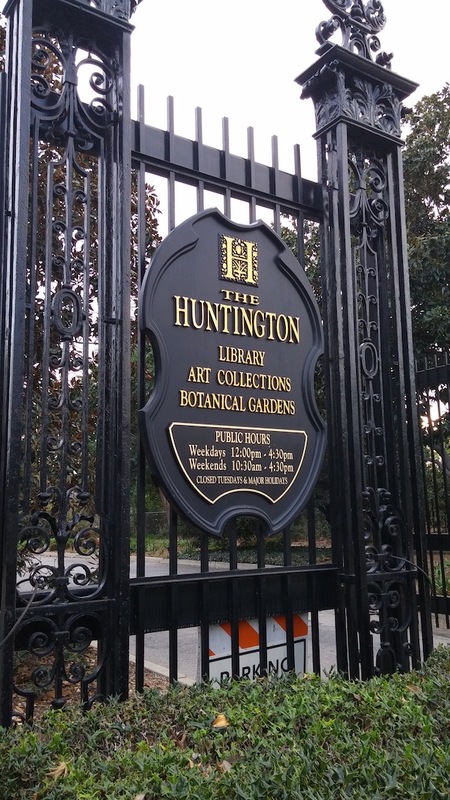 Free Park­ing. 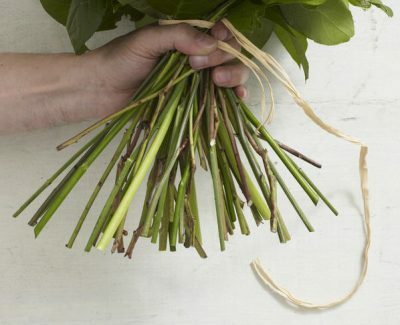 Hand­i­capped acces­si­ble stu­dio. Reser­va­tions: To reserve your place in our work­shops, sign up online or call us 310–739-7644. 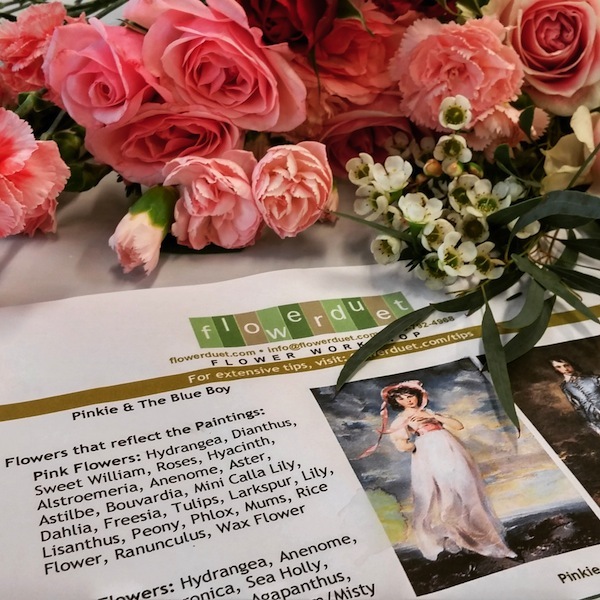 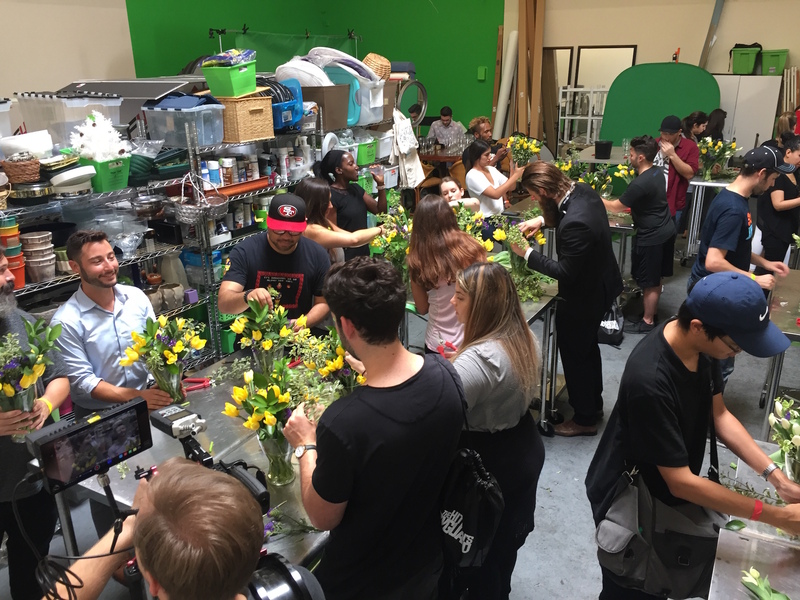 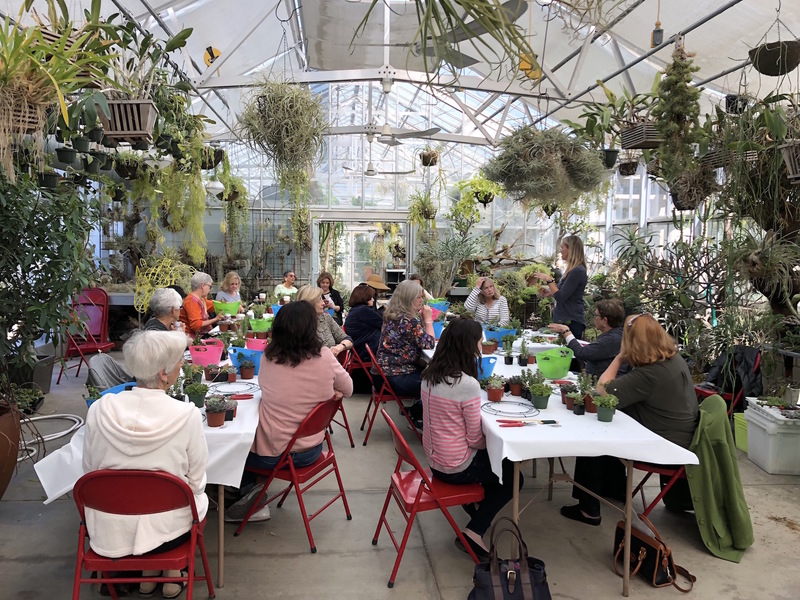 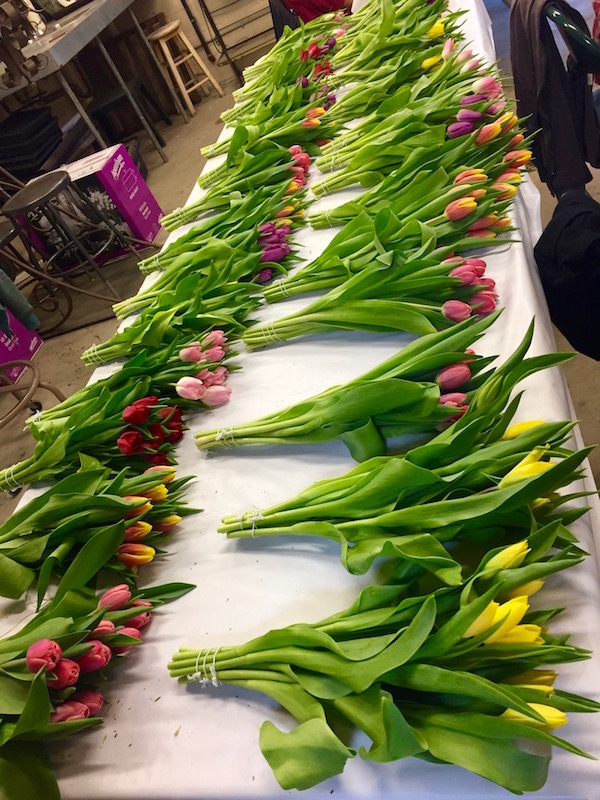 Sat­ur­day morn­ing class­es held at our stu­dio offer a tour of the Los Ange­les Flower Mart fol­lowed by an option­al flo­ral design work­shop. 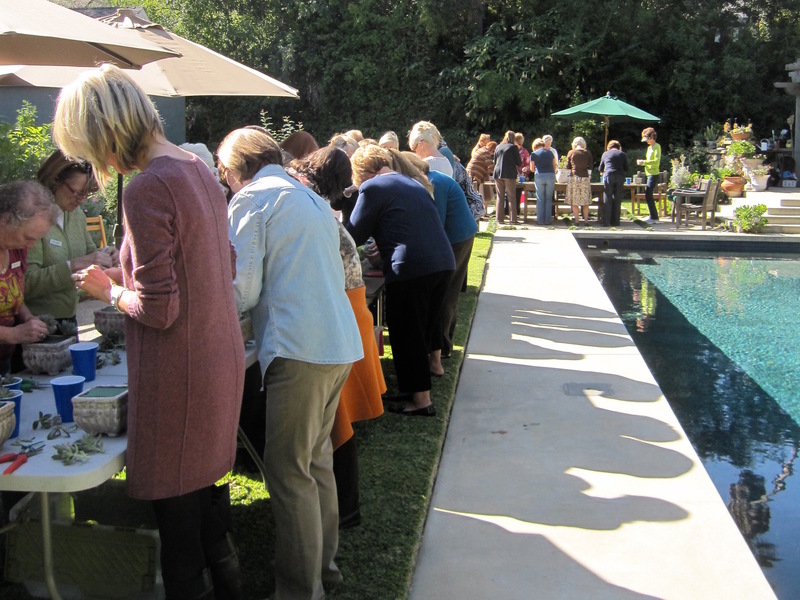 Tour takes place from 7 a.m. — 9 a.m. — Fol­lowed by an option­al work­shop from 10 a.m. — Noon. All class­es must be pre-paid. 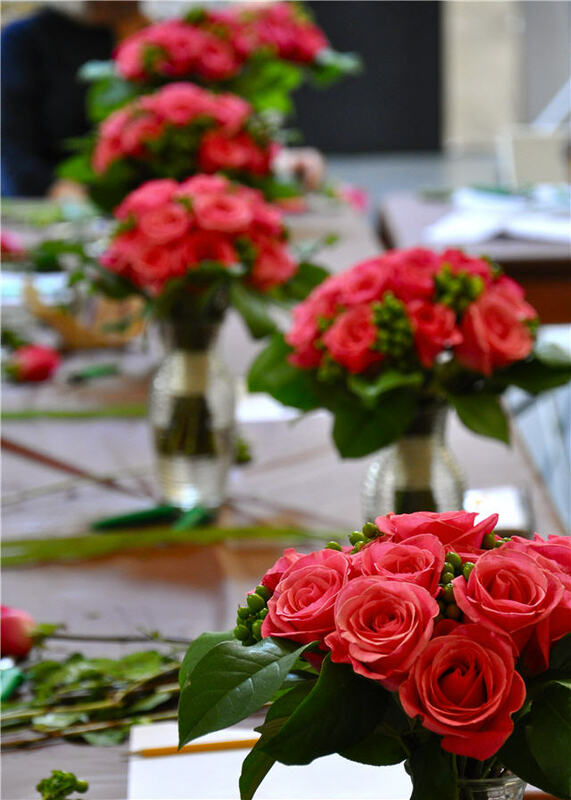 If you need to can­cel, please do so two busi­ness days in advance. 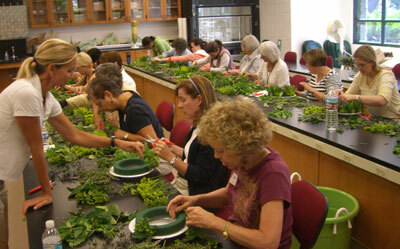 If a class is sold out, please call us to be put on a wait­ing list. 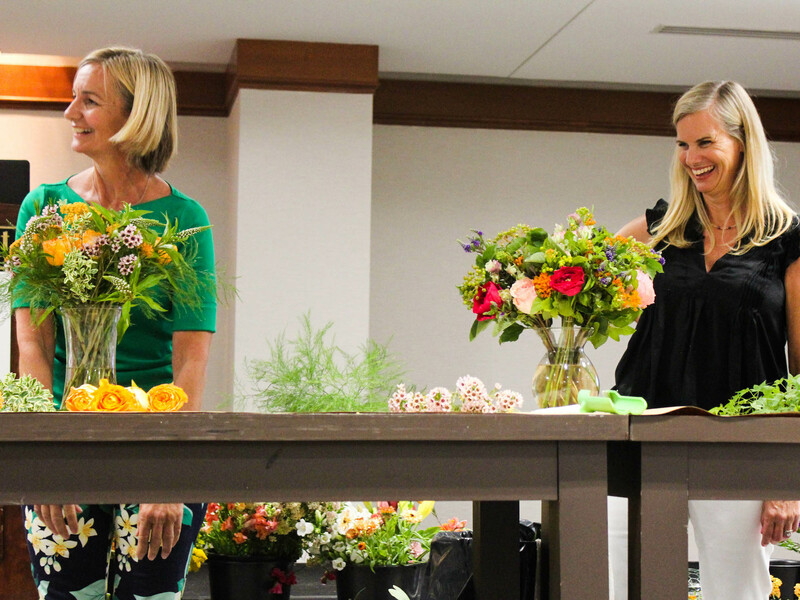 Casey Schwartz of Flower Duet demon­strates a hands-on work­shop on how to cre­ate a bou­ton­niere on the fly! 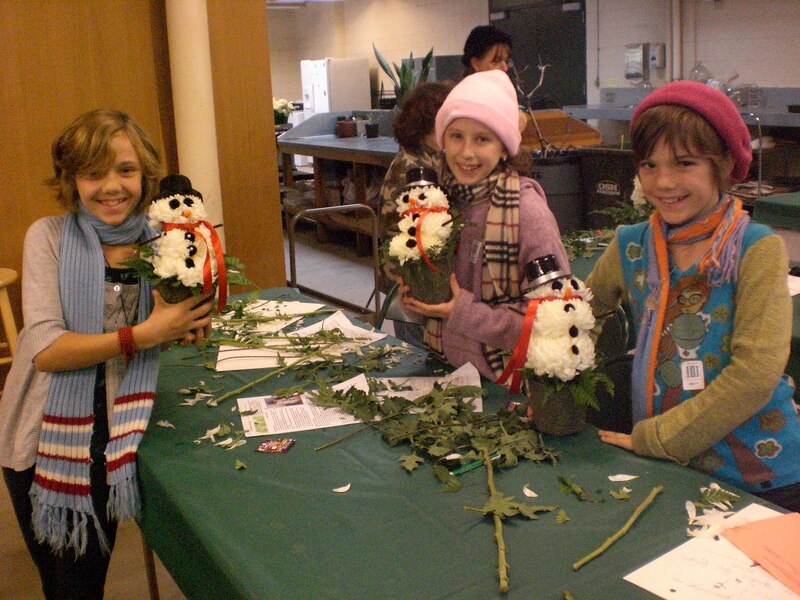 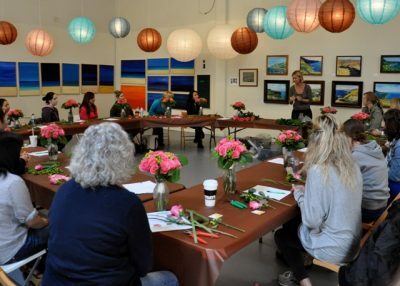 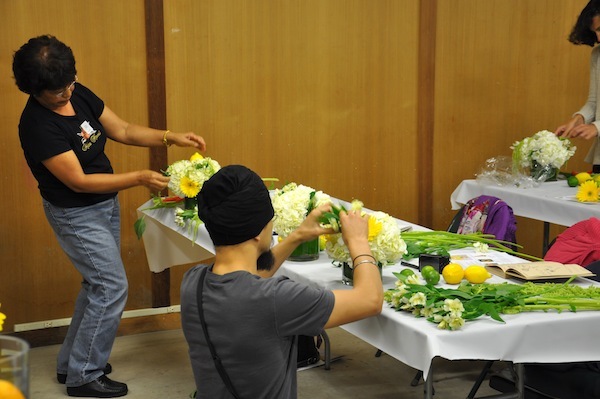 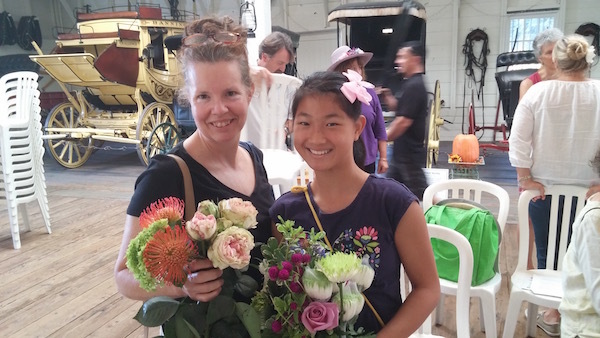 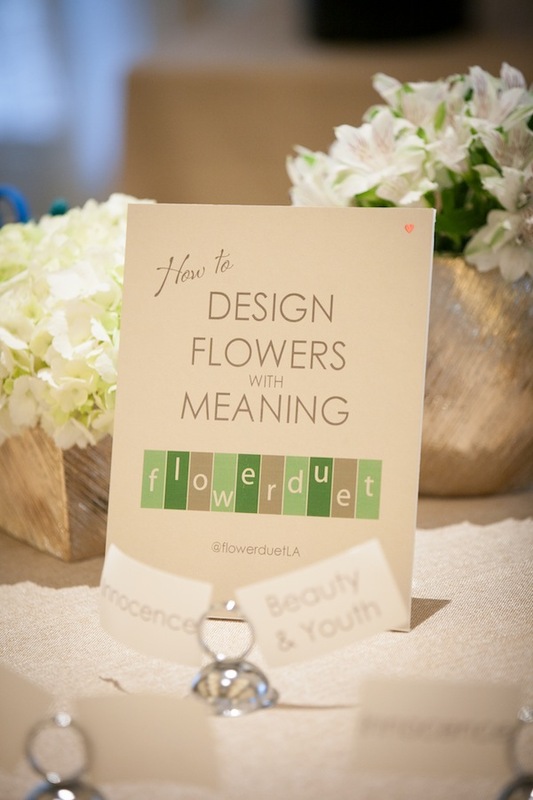 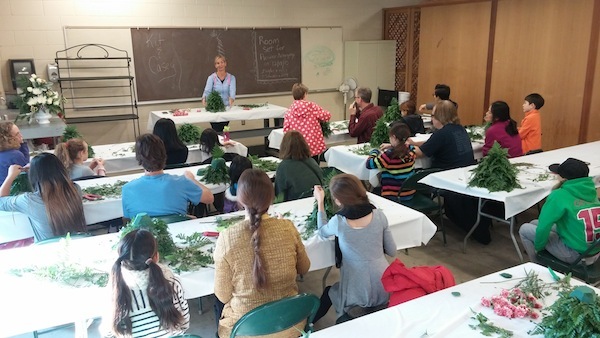 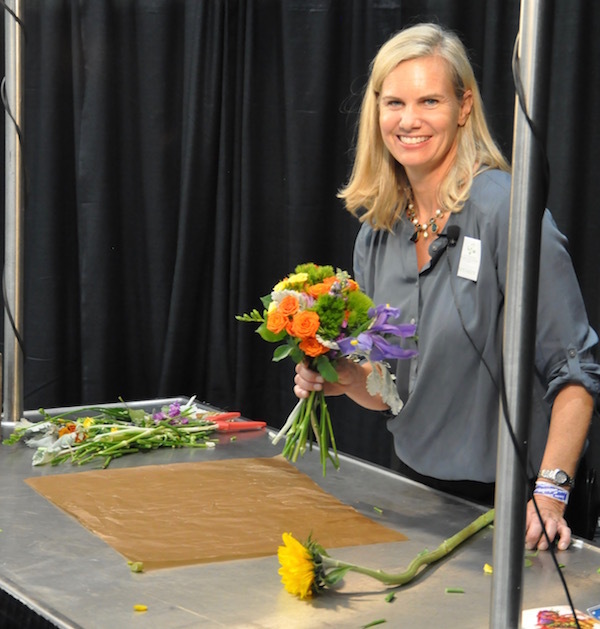 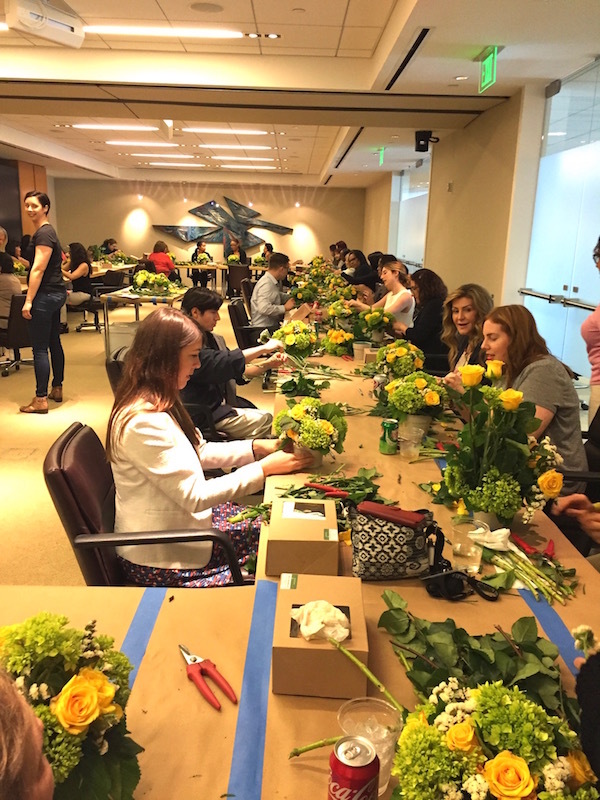 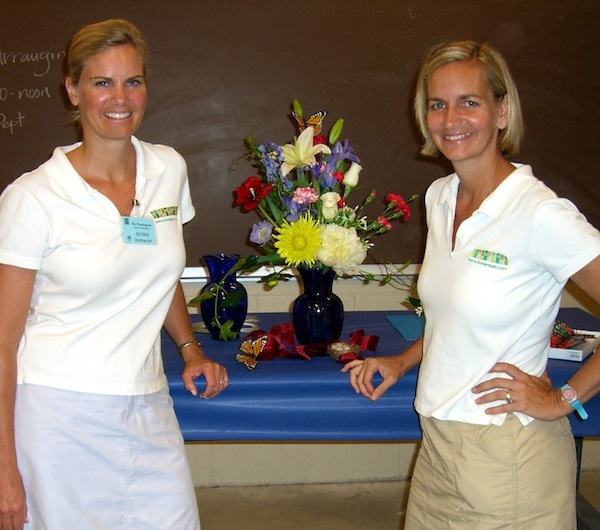 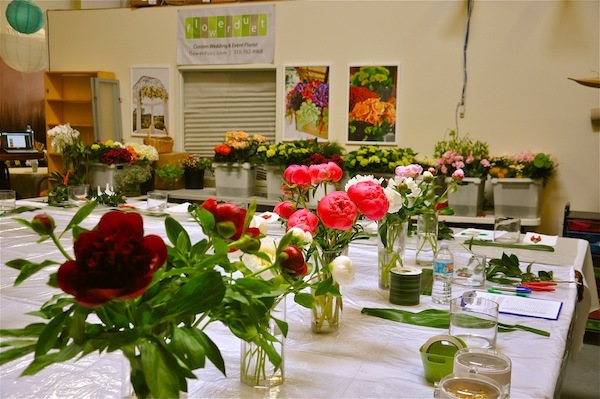 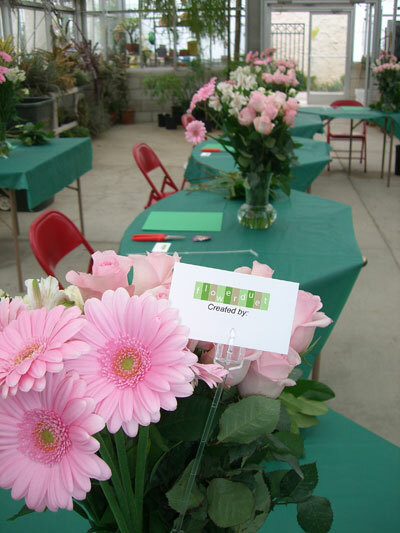 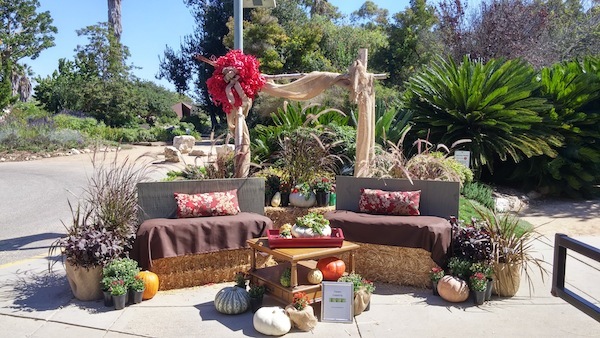 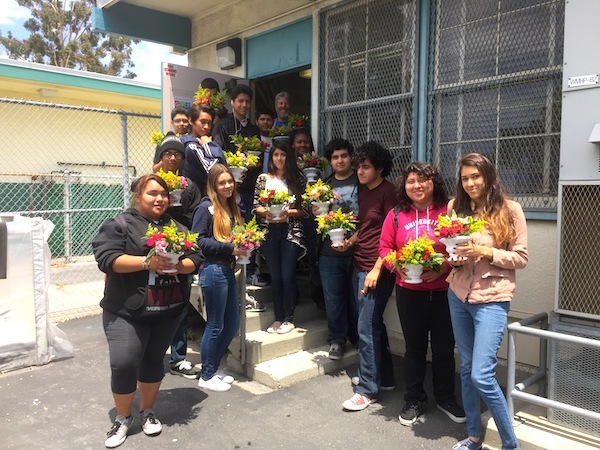 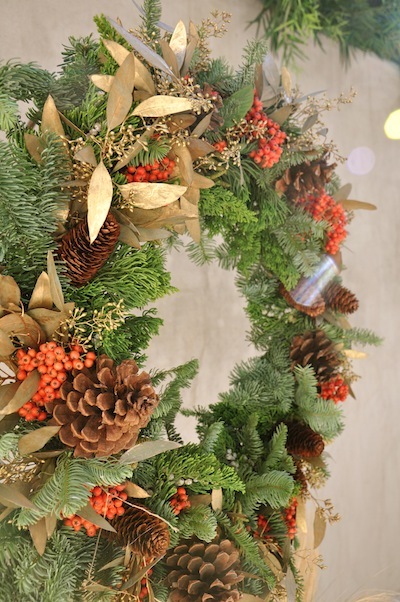 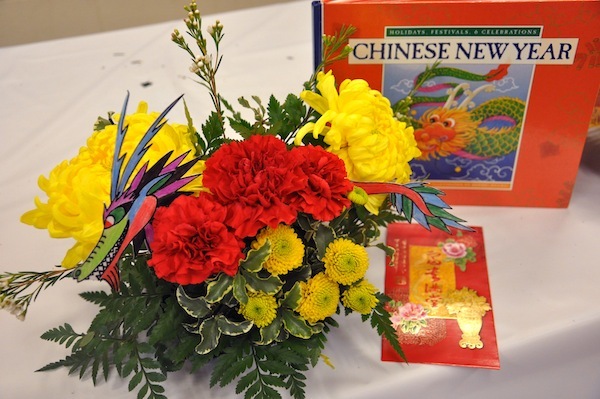 We teach flower arrang­ing class­es in Los Ange­les at two main loca­tions. 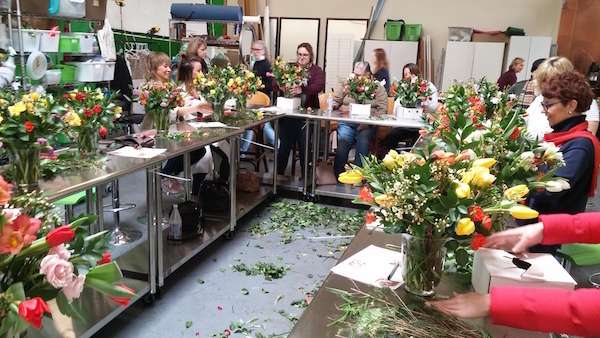 We pri­mar­i­ly teach out of our flo­ral design stu­dio in Tor­rance and we teach work­shops at The Hunt­ing­ton Library, Art Col­lec­tions and Botan­i­cal Gar­dens in San Mari­no. 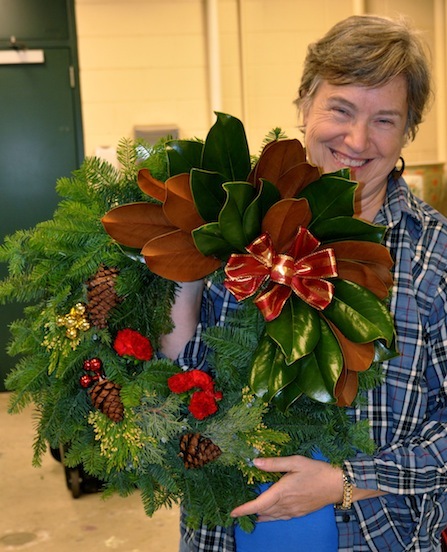 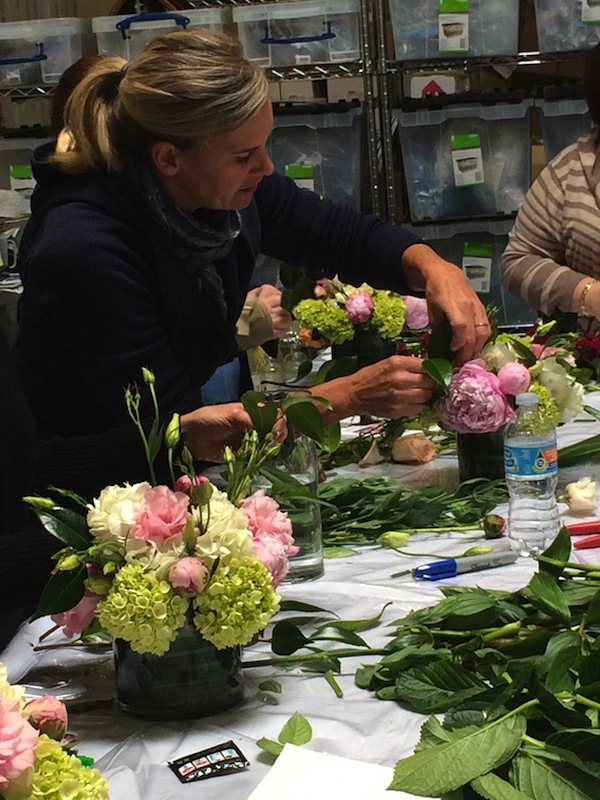 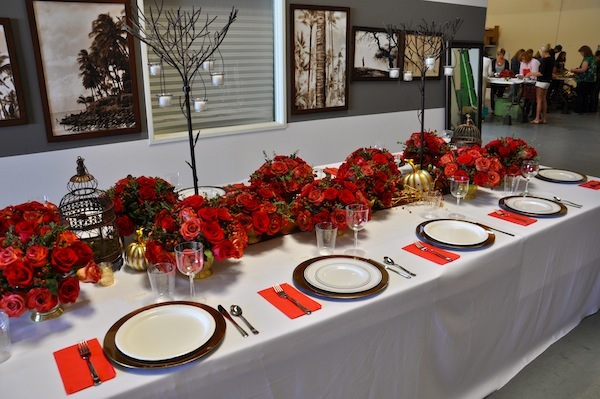 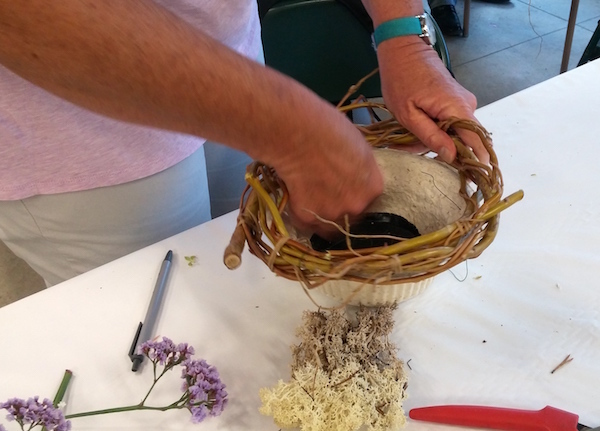 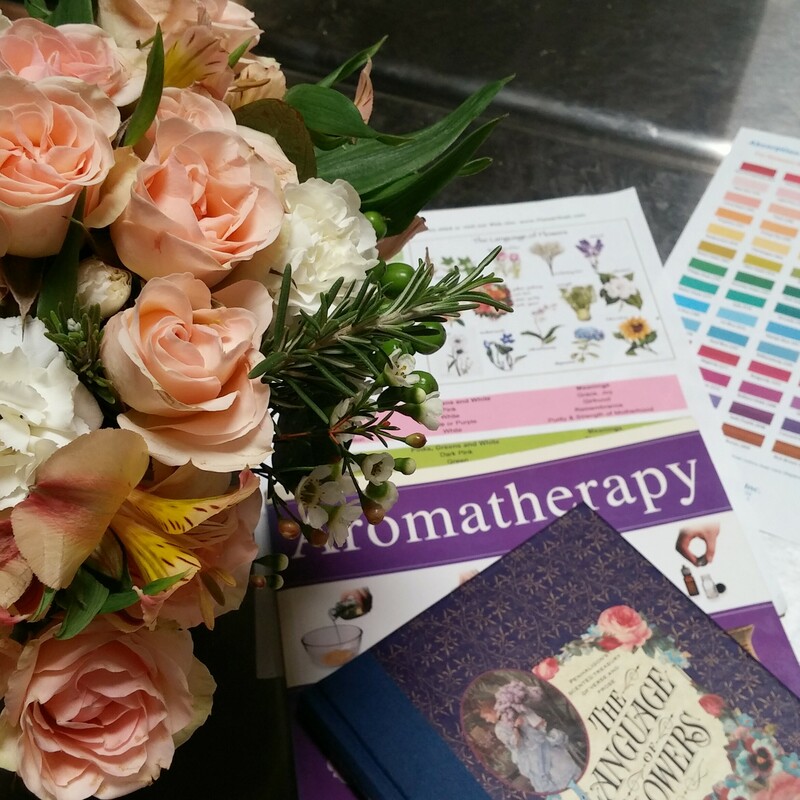 We offer class­es using pre­mi­um flow­ers like gar­den ros­es, orchids, peonies, and hydrangea. We pro­vide the cut flow­ers, vas­es, flo­ral cut­ters and step-by-step instruc­tions on how to rec­og­nize the fresh­est flow­ers, how to care for them and how to cre­ate a beau­ti­ful flower arrange­ment. 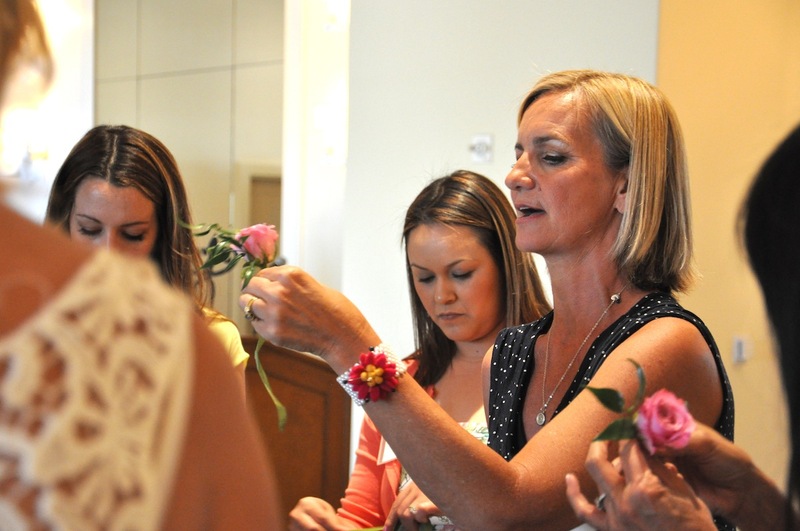 Each of you will then be hands-on with your own set of flow­ers to cre­ate a bou­quet to keep. 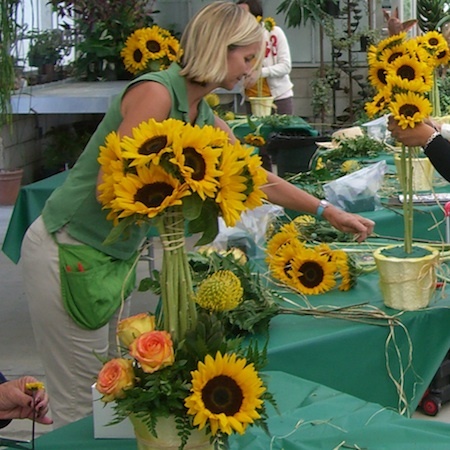 (No added fees for any sup­plies.) 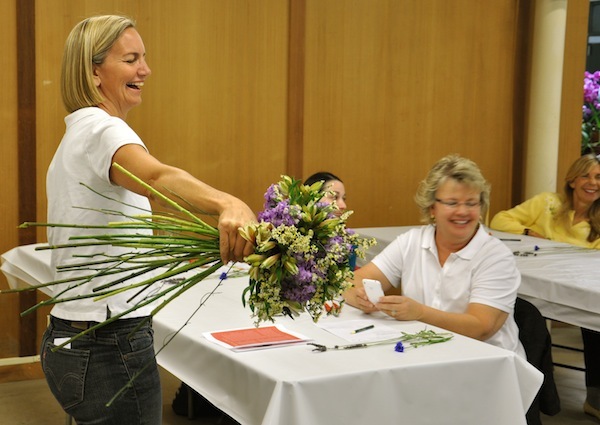 Dis­counts avail­able when sign­ing up for three class­es or more. 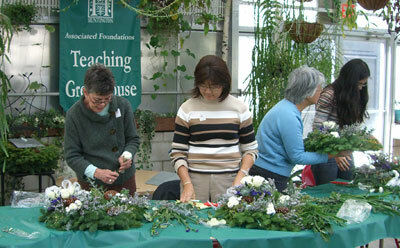 Lessons usu­al­ly last 1.5- 2 hours. Pri­vate lessons or cus­tom class­es for small groups are avail­able. 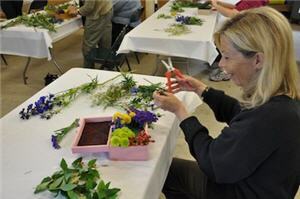 We teach a series of class­es at the Hunt­ing­ton Library in San Mari­no. 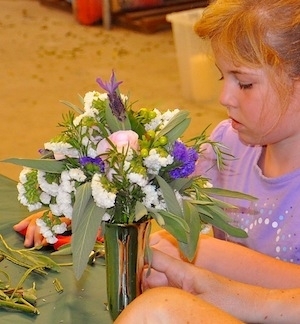 Morn­ing work­shops are for adults while the after­noon class­es are reserved for chil­dren with their adult helpers. 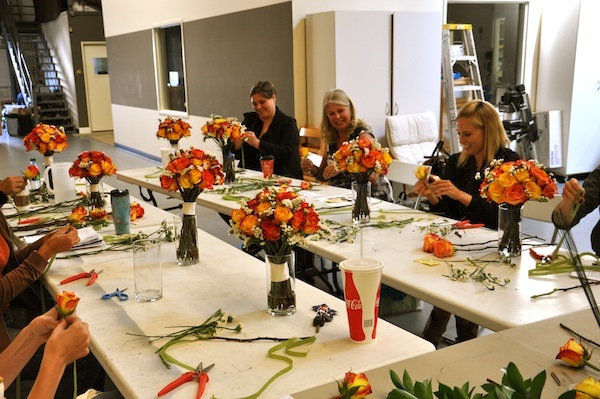 We offer cor­po­rate team-build­ing events at our stu­dio or at your office. 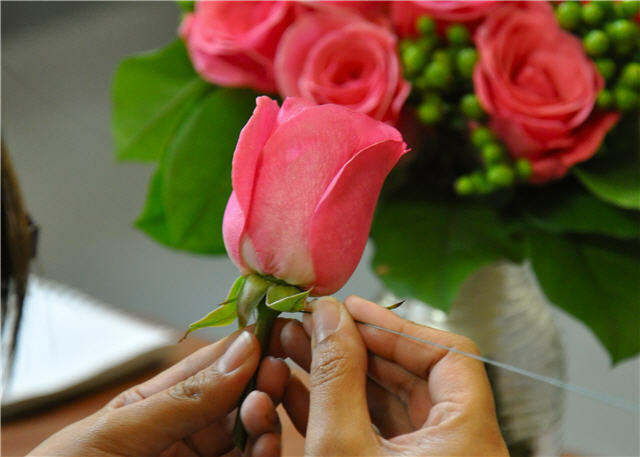 Con­tact us for a quote to fit your company’s needs. Clients include promi­nent Los Ange­les law firms, trav­el com­pa­nies, Ernst & Young and Brighton. 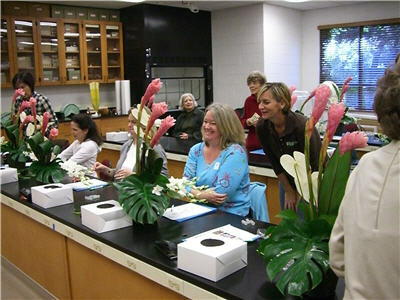 We offer lecture appear­ances for gar­den shows, con­fer­ences, flo­ral design expos, gar­den clubs, and groups.